Customers are transforming their business and experiencing the advantages of the VMware Software Defined approach to IT. Working collaboratively with sales, marketing and partner teams our Solution Engineers (SE’s) are a key component to our customer’s success. Consulting with business leaders, our team abstract issues to formulate strategic plans offering extraordinary experiences through secure mobility of data and hosted applications across public and hybrid clouds. The Account Solution Engineer supports a designated sales territory (Banking & Financial Services sector experience would be ideal), to develop strategic relationships across customers and business partners to formulate IT strategies and detail designs that support business success through IT solutions. Proficient in VMware solutions and integrated technologies the Solution Engineer orchestrates resources to develop and present design documentation supporting the customer engagement process either directly or through ecosystem partners. At times these designs will be tested in prototype environments, requiring delivery and reporting on success and capability. You will be responsible for the technical deliverables for the sales process assisting with opportunity/solution creation and expansion, participate in account development and support the sales plan. You will work closely with the sales teams, yield maximum product and services revenue whilst driving customer happiness and registering lead generated opportunities. You will have the opportunity to transfer industry, technical, and product knowledge to customers, partners and communities supporting business growth, profitability, technical capability and service creation. Maintain a deep understanding of competition and vertical industry segments in the areas of technology, applications, architectures, sales and strategies. Deliver in-depth technical updates and architectures to industry, customers and partners, analyse technical needs, goals, and objectives on an ongoing basis. Collaborate internally acquiring knowledge to operate as an advocate for Partner, Education, Delivery, Support and External Service tools to support overall customer happiness. Always remain ethical and respectful in looking after internal and external customers. We offer the opportunity for all of our staff to amplify their contribution to Philanthropic organisations through time and contribution. Degree, BS/BA, Information Systems, Computer Sciences or advanced industry certification in Virtualization, Storage, Networking, Applications desirable and/or strongly preferred. Strong background within Enterprise organisations and / or supporting Enterprise customers as part of your SE role (ideally, such as the Banking and Financial Services sector). Experience with datacentre virtualisation and supporting solutions. 5 to 10 years of presales or related IT experience with proven customer experience in senior management or C-level client engagement. Working knowledge of varying vendor, partner and distribution support and value models. Strong Technical hands-on Experience focus on Cloud Solutions such as VMware vRealize, AWS, Azure or IBM Cloud would be a definite advantage. Enterprise Architecture practice and TOGAF certification is helpful. Experience with Linux, storage, networking and systems management is beneficial. Background in scripting or programming would be a significant plus. High energy, self-motivated person who enjoys meeting with customers and partners. Strong self-starter with a consistent track record of accomplishment. 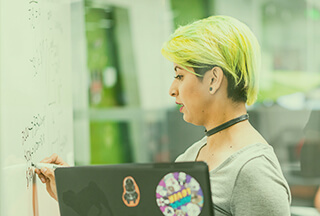 VMware Australia are an equal opportunity employer, value diversity at our company and was recently awarded the WGEA Employer of choice for Gender Equality (EOCGE) Citation. We do not discriminate on the basis of race, religion, colour, national origin, gender, sexual orientation, age, marital status, veteran status, or disability status.